While shipments are still far from their peak of five years ago, tablet sales have seen a bit of a resurgence recently. This can be put down to several factors, including Apple’s constantly improving and growing line of iPads, and the fact that slates are moving ever closer to laptop replacements, or at the very least preferred consumption devices for many. There are plenty of tablets available today, however there are a few options that undoubtedly come out on top. To help you decide which is best suited for your needs and budget, here are our top tablet picks in the following categories. While the large 12.9-inch Pro is great, it's overkill unless you intend to do a huge amount of typing and multitasking. The 11-inch version will likely be the better choice for most people—the fact it’s $200 cheaper is also a bonus. The Liquid Retina LCD resolution is bumped up to 2388 x 1668 (264 ppi), which looks gorgeous, and it comes with a wider aspect ratio than its predecessor. You also get a USB-C connector instead of the usual Lightning port, so you can charge your iPhone using the iPad, and there's the 2nd-gen Apple Pencil—sold separately—which attaches magnetically to the side and is so responsive that it’s like using a real pencil. Buying the Pro’s optional Smart Keyboard isn’t going to make it a straight laptop replacement, because of both hardware and software limitations, but then again it's also the software that differentiates and makes the iPad the best on this form factor. For lovers of slates, there’s none better. 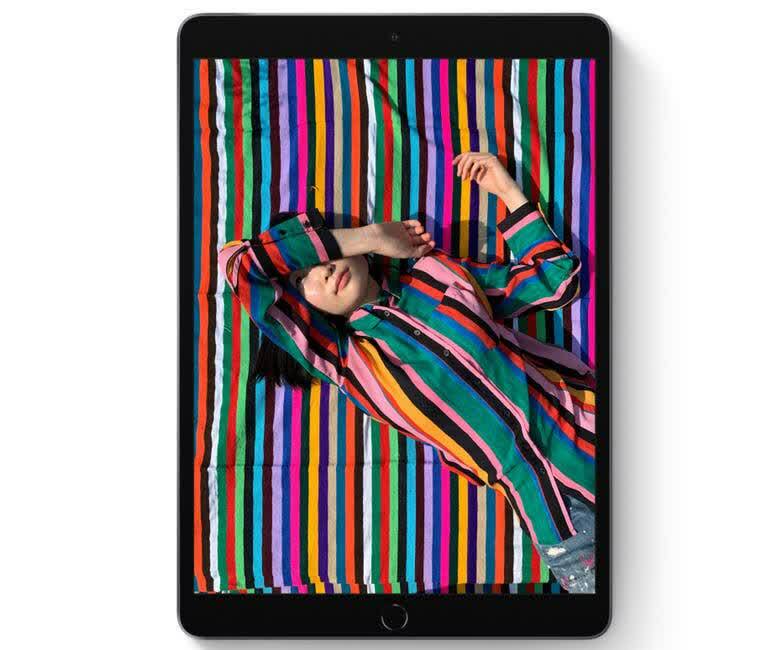 New for 2019, the new iPad Air strikes a good balance of getting most of the features you need and want in a modern tablet for $499. We used to recommend the 2nd-gen iPad Pro 10.5 as an excellent alternative and immediate step down from the Pro 11, however it's now harder to get and the Air effectively replaces it though it trades off a few features at the same price point. The new iPad Air comes with two speakers instead of four and no 120Hz ProMotion display. It also packs a 8-megapixel rear camera with no LED flash or optical image stabilization. However buying an older generation iPad Pro may not be the wisest of decisions considering software support over the long term. The new iPad Air does come with the newer/faster A12 Bionic chip, the option of gigabit LTE and an upgrade to Bluetooth 5.0. For regular tablet users, the new Air will still carry most important features you need like a sharp screen, killer software set, support for the smart keyboard, Apple Pencil (1st gen), Touch ID and up to 10 hours of battery life. While it does offer more features, the ThinkPad is behind the Surface Pro when it comes to build quality, and although both machines are expensive, you’ll usually find Microsoft’s is the cheaper of the two, especially at the base specs. The battery life and speakers on the ThinkPad aren’t great, either. Ultimately, the ThinkPad may be the better choice for enterprise users who will take advantage of the extra bells and whistles, though several reviewers recommend the Surface Pro over Lenovo’s device. If you want a tablet that’s mainly used for occasional web browsing, watching some Netflix in bed, and social media, you’re unlikely to want to spend $500 - $800 on an iPad Pro. Instead, buy a 2018 iPad 9.7, which at $329 is less than half the price of the top models. Other reasons to opt for the 9.7-inch iPad include a 3.5mm headphone jack, ten hours of battery life, and Apple Pencil support. But some differences between the Pro models include the camera—which is 8MP with HD video, as opposed to 12MP and 4K—the general performance, and fewer features. It is, however, by far the best value iPad Apple offers. If you’re a casual tablet user, or want a child-friendly powerful slate, you won’t find a better mix of price and performance. Most other Android tablets can't touch it. Gorgeous display. Pen is included. There are tons of Android tablets out there. A large number of them fall into the cheap and nasty category. The Samsung Galaxy Tab 4 is neither of these things. Probably the best part of Samsung’s device is the display. With 2,560 x 1,600 pixels (288 ppi) packed into a vivid, 10.5-inch Super AMOLED screen, no other Android tablet can beat it in this area. Even though there are a slew of dirt-cheap Android tablets to pick from, including the Amazon Fire 10 in our budget category, for something a lot more substantial look toward Samsung’s previous flagship: the Galaxy Tab S3. There aren’t a huge number of differences between the S3 and its successor, but you’re likely to find the older model for several hundred dollars less. The 2048 x 1536 resolution of the 9.7" AMOLED is still lovely to look at, and the S-Pen remains part of the price. The processor does drop right down to a Snapdragon 820, though—the same SoC used in the Galaxy S7—but the Tab S3 continues to be one of the top Android slates around.